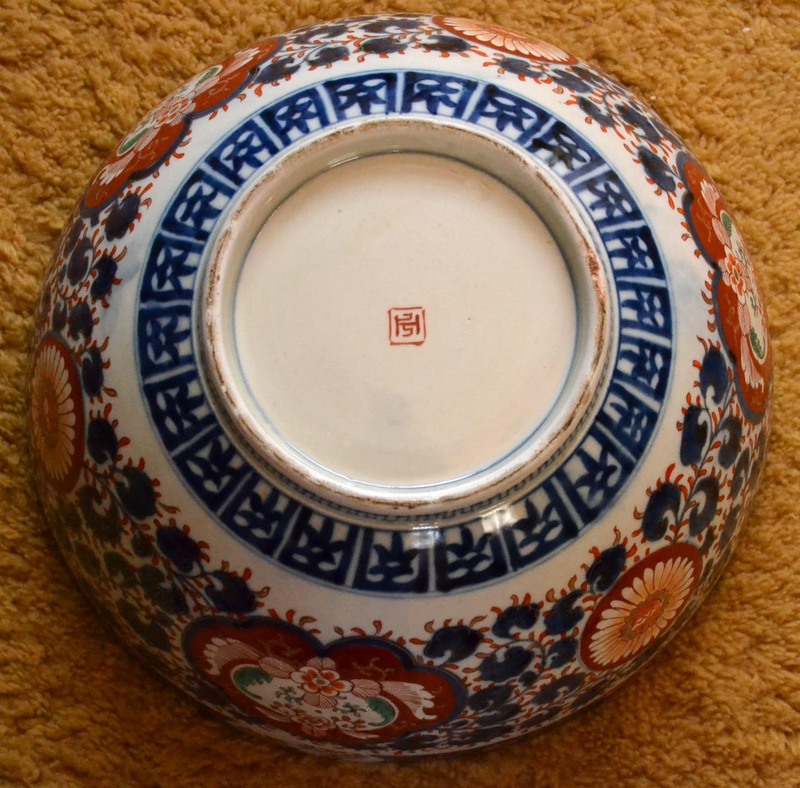 Can anyone tell me what the mark is on this bowl? 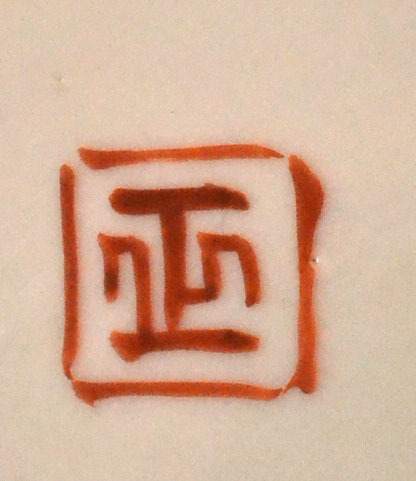 Very stylized "Sho" 正 late Meiji Period mark, used by the Kakusho 嘉久正 Gama (kiln) in Mikawachi. Source: Emiko Gilmore - Asian Arts Forums Aug. 2018. 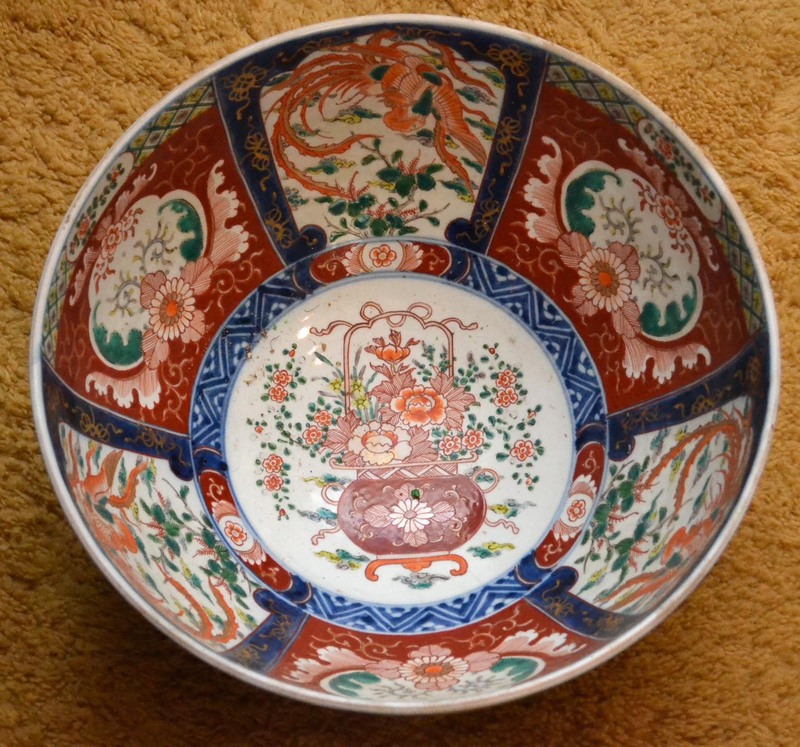 Google for "Kakusho kiln". Thank you, Martin! How fortuitous that this mark was just explained in August. Thank you for directing me to that thread.